Cut fillets into 2 inches pieces. Put fish in a bowl with lemon juice, parsley, 2 tablespoons cooking oil, and salt and pepper to taste. Dip pieces of fish individually into batter, and then into hot oil. Cook, turning and submerging pieces in the oil until golden brown all over. 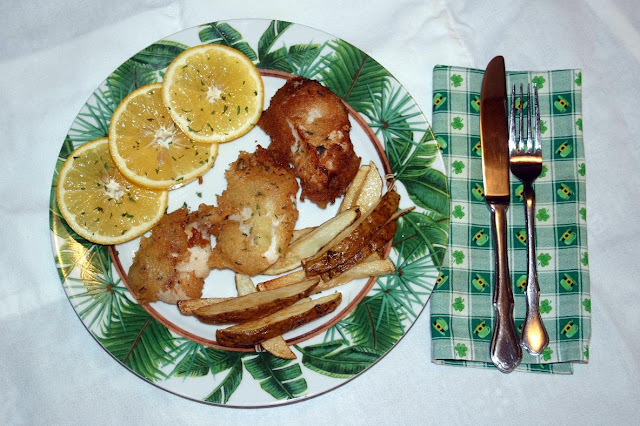 If you're not a fan of Tilapia, substitute with another fish of your choice, such as Cod or Haddock. Pair it with a refreshing Pilsener, serve it up with some pomme frites, and you've got yourself a great meal.